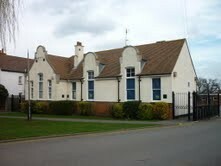 Hullbridge gained its own school in 1903. The master's house and the school cost £63. 11s, plus £50 for the land. Some children came from as far as Woodham Ferrers, and were taken across the river by ferry. If the tide was out, they came by horse and cart. In 1974, the school was moved to a new building. This page was added by Mave Sipple on 28/02/2011.